To create a fast, efficient and reliable mode of communication with your clients and staff. To reduce the cost of communication as compared to other forms of advertising. To provide enhanced and comprehensive customer service through fast response time. Compared with other forms of communication, SMS is a very cost effective and incredibly practical, reliable, and affordable method of communication. Statistics of mobile communication users is 8-9 times more, compared to other communication channels. It has advantages over normal telephone, fax and email. The client receives the message instantly. Messages can be sent to a large number of clients. Messages can be delivered to the recipient in seconds all depending on the specific gateway used, route of delivery and coverage of the mobile operator. Instead of crafting a message and then sending it to each client, one message is created and then sent to a whole group of clients. It can be sent at once to a large group, manually or automatically which Bulk SMS Proposal – Dynamic Creations reduces the time and labor involved. Messages are delivered immediately (or when the phone is turned on). As SMS is a personal communication facility, receiving it would not go unnoticed and it also grabs the attention of the receiver. In a short period of time, SMS has built up a reputation for itself as reliable communication system, guaranteeing almost 100 % deliveries to the receiver. 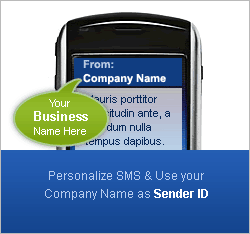 Send Bulk SMS (Mobile SMS) worldwide using any computer – Send bulk SMS messages to your friends anywhere. All you need is a computer and Internet connection. 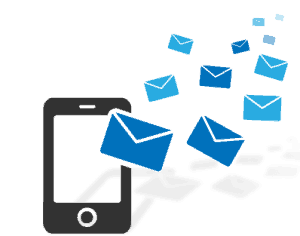 Most SMS messages are delivered in seconds and you will also get confirmation of Bulk SMS delivery. Sender id will be like e.g. DM-234586, digits will be random system generated number. 2000 Credits 1 Year 500 Rs. 5,000 Credits 1 Year 1,000 Rs. 10,000 Credits 1 Year 1,800 Rs. 25,000 Credits 1 Year 4,000 Rs. 50,000 Credits 1 Year 7,000 Rs. 1,00,000 Credits 1 Year 12,000 Rs. 5,00,000 Credits 1 Year 55,000 Rs. 10,00,000 Credits 1 Year 1,00,000 Rs. Note: Service Tax 15% will be extra on above pricing. 50,000 Credits 1 Year 7,500 Rs. Note: Service Tax 15% extra on above pricing.